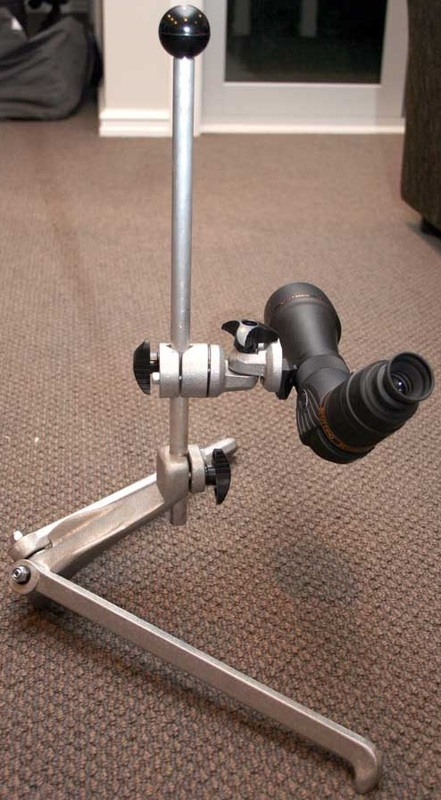 CollingsGuns Scope Stand - Hunting and Outdoor Supplies. Please Select Style/Fitting: Conventional round scope fitting or camera type fitting. * Includes 1, 2 or 3 x 400mm aluminium rods. * Very stable, easy to use and adjustable. * For prone, kneeling, standing, shooting or scoring from a chair. * Designed and constructed by Mike Collings of CollingsGuns in Whakatane, New Zealand. * Mike Collings is an experienced gunsmith and specialist manufacturer of target shooting products. * We recommend that a balance weight is used if you are utilising more than one rod. 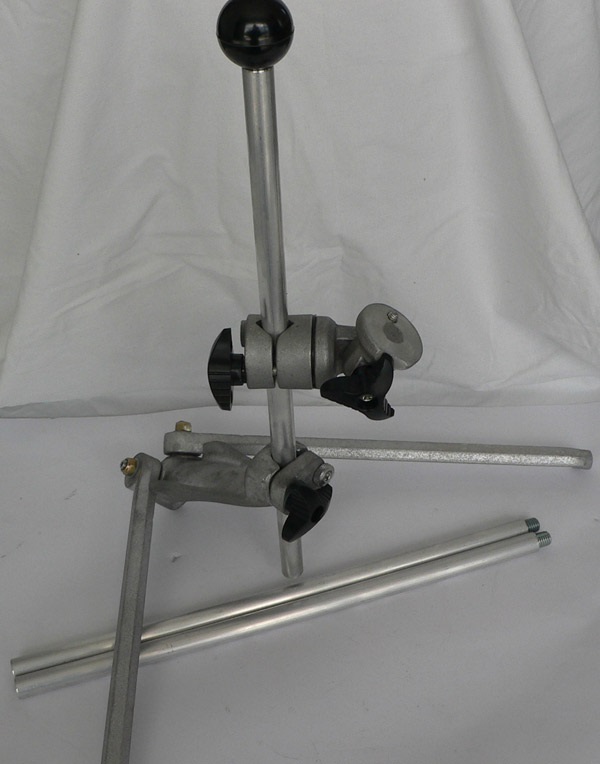 * Please enquire if you would like a CollingsGuns Balance Weight that can screw into the bottom rod. We will advise availaility and confirm price (approximately NZ$30 (incl. GST)). Mike Collings trained as a toolmaker and then learned gunsmithing from his Dad, Din Collings from Collings and Bradey. Mike then moved to Te Puke working for himself as a gunsmith from 1985 till 1998. In 1998 Mike and his wife Diane moved to Whakatane and Mike had a change of career by becoming a boiler operator at the Tasman mill, while still gunsmithing on a smaller scale in his spare time. In 2009 Mike took redundancy from the mill and he is now back working as a gunsmith specialising in target rifles and making and selling target shooting products. Diane is the brains of the partnership doing the books etc. Both Diane and Mike are top fullbore shooters having represented New Zealand in many teams iincluding the Commonwealth games (in 2002 Di won a bronze medal and in 2010 Mike won a gold medal).